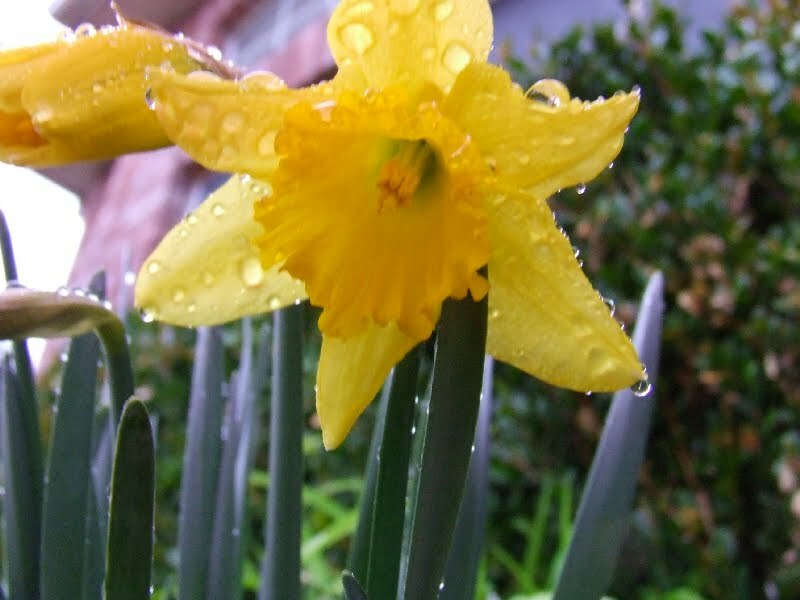 Many Welsh people wear one or both of the national emblems of Wales on their lapel to celebrate the Feast of St. David: the daffodil (a traditional Welsh symbol which is in season during March) or the leek (Saint David's personal symbol) on this day. We've made a daffodil cake to celebrate the feast of St. David for a couple of years now. This is not an actual Daffodil Cake Recipe. It's my simplified version using any white cake mix. Have you ever made a fudge marble cake? This is a basic marble cake except I used a white cake recipe with some yellow food coloring and little lemon extract instead of fudge. You can use a white cake (box) mix if you like. Make the batter as the recipe or the box describes. Before you pour the batter in the pan, separate out about a cup of batter. Add yellow food coloring to the reserved batter until it reaches the desired color. I recommend going a little darker than you think you'd like because it will fade a little when it bakes. You can also add up to 1 tsp. of lemon extract for a light citrusy flavor. Pour the white cake batter into the pan. (I like to bake the cake in my bundt pan.) Drop tablespoon fulls of the yellow batter all over the white batter. Using a butter knife or skewer, lightly swirl the colors together until you get a marble effect like above. Don't swirl too much! You want the colors to stay separate. Bake and cool as the recipe recommends for the type of pan you chose. Served upside down with a little bit of glaze frosting and yellow sugar crystals my kids think it looks like a daffodil. The marbled white and yellow slices will delight them even more! Yum! This cake looks delicious! I will try it this year! Thanks, Cheryl. I have a Potato Leek Soup recipe that I'm posting tomorrow. It's also been a tradition of ours for years.